Bikram Bedi, Head of India Region, Amazon Internet Services Private Limited tells Digital Creed how Amazon Web Services is enabling the digital ambitions of companies across sectors in India. For the past 10 years, Amazon Web Services has been helping enterprises across verticals in India move to the cloud. It is enabling the digital ambitions of companies like HDFC Standard Life, Aditya Birla Capital, Bajaj Capital, Bajaj Finance, Freshdesk, Byjus, Hungama, NDTV and many others. 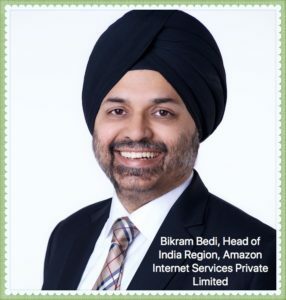 Bikram Bedi, Head of India Region, Amazon Internet Services Private Limited (AISPL) tells Digital Creed how AWS works with customers and partners to grow its business in the region. DC: Can you give us a quick update about AWS’ business in India? Bikram: AWS has a fairly large and a mature business in India. We have hundreds of thousands of customers across various profiles: startups, enterprises, and SMB. Our oldest customers in this country, NDTV and Hungama, go back to nine to 10 years. Across the board, we are seeing different kinds of applications and workloads being moved to AWS, starting from basic websites, on to gaming, mobility, and e-commerce applications; IoT-based applications. And then getting into the core stuff, things like SAP, Oracle, e-Biz, Microsoft Dynamics, Navision — all the different kinds of workloads that are available with Microsoft. (There is a) large partner network that has been put together over the last couple of years. We’ve worked with our partners. As you are aware, you can’t build an IT business in India, and you can’t be successful, without partners. DC: Can you tell us more about your plans for enhancing your partner ecosystem? Bikram: In fact, we made an announcement few months ago. We call them the Amazon Partner Network or APN Partners. So, if you look at all the partners which are non-US, India is the largest contributor to the partners there. And if you look at APAC, then 50 percent of the APN partners come from India. So there is a significant partner network that’s been put together, working with us, driving the market, working with our customers. We are doing a lot of things in the public sector space. As you are probably aware, we were the first global cloud provider to get fully listed by the Ministry of IT for government workloads. And we have seen some great workloads or use cases being built on AWS. The Andhra Pradesh State Services Development Corporation, for instance. Then we are seeing some more stuff at the universities. Educational startups like Byju’s, they are using us. So, a lot of work happening there too. DC: Can we drill down into each of the segments you mentioned earlier and tell us how customers are benefitting from AWS services? Bikram: Quickly jumping into some of these areas that I mentioned. If you look at Enterprise for example, we are seeing a requirement across different sectors. If you look at just Finance, even if you split up Finance…and look at Insurance. Take HDFC Standard Life, they have built a digital platform off us. It is called Atom, where all their digital workloads are being put on AWS now. And it allows them to essentially — from the minute a customer starts to reach out and understand what life insurance is, to the time he buys — it gives them a complete journey. It gives them the ability to have an interaction with that customer across. A couple of weeks ago they released a PR (Press Release) where they spoke about how they are using AWS and all the innovation and the agility that they are getting out of the platform. The Atom solution which runs off the AWS platform helps HDFC Standard Life analyze customer expectations, and meaningfully engage with them on online platforms. The idea being to simplify the entire journey across multiple touch points — from understanding a life insurance product to purchasing it. Using the Amazon Web Services platform it enabled the company to facilitate an agile and responsive solution for its customer base that helps deliver a frictionless onboarding experience. Max Life did something similar. So that’s two big names in the insurance space. If you move to the non-banking finance space, we have customers like Bajaj Finance and Bajaj Capital. Bajaj Finance in fact is doing an interesting thing. 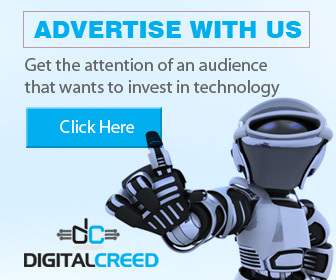 They are building a completely different digital business. They run a traditional business but they are building a digital business which they have built completely off AWS. I think they call it BFS Direct. But think of it like this, when you are shopping on Amazon or any other ecommerce site, and you want to buy something which costs Rs. 10,000, and you need a loan. Now in the old world, start to finish loan disbursement would take you a couple of days. Here Bajaj is looking at getting that down to single digits or low double digits (seconds). If I am not mistaken, 12 -15 seconds where they give you disbursement of the loan. Aditya Birla Capital, is another great example of a non-banking finance company who are starting to put workloads off us. They are building their entire digital story with us. DC: The Banking sector has always been first to adopt, and is the largest spender on technology. Can you tell us about your banking customers? Bikram: We have banks like IndusInd Bank and Axis Bank. So, if you see the whole financial services sector, which is actually one of the largest IT spenders in this country, we are seeing wide adoption. DC: What about other sectors? Bikram: Moving on to different kinds of brick and mortar companies. Take Titan Industries. They are building their digital business off AWS. In fact, they made a couple of acquisitions in the digital space who are also on AWS. That is obviously helping them as well. And then there are companies like Tata Motors, who have been a customer of ours for the last, I think five or six years. And they have put all their digital business, their digital properties off AWS, doing some interesting stuff with us around telemetry and IOT where you have the ability. They have put these devices in their trucks and their buses, which gives them the ability to do base statistics; they could do geo-based maintenance and geo-based statistics, vehicle-based maintenance and all of that. So, a lot of work happening with them in that whole space. So, if you look at the Enterprise sector, I don’t think we are any more at a stage where customers are saying: Should I move to the cloud? I think the real question is: How quickly can I move and what goes first, in terms of an application. We are seeing cloud becoming the new normal there. DC: How are you targeting the Small and Medium Business sector in India? Bikram: SMB is the heart of India and there are over 51 million SMBs, though a very small fraction has digitized. But if you look at it, and in fact if anything can move much quicker than the traditional enterprises. We are seeing a lot of adoption around central workloads. Companies like Bagmane, Brigade Group, Jubilant — the Dominos and the Dunkin Donut guys, all of these are on SAP. Different flavors and forms. So you could talk about S4 Hana, you could talk about ECC, all of that happens. Of course, SAP is a big workload on the enterprise side as well. Larsen & Toubro Infotech is one of our recent customers. They have gone live with S4 Hana and are significantly large install. So, coming back to SMB, we are seeing a lot of traction there. And last but not the least is startups. That startup ecosystem has been something that we’ve been involved in for a very long period of time. If you look at the YourStory Top 100 India Startups list I think over 90 percent of startups in that list use AWS. So, there is significant traction in that whole Internet space.